Why Are Downhill Ski Poles Bent? The Science behind Curved Poles Explained! Skiing is one of the many spectacular events at the Winter Olympics, and this year is no different! Fans are mesmerized by the Olympic skiers in Pyeongchang as they race down the slopes and aim for gold. But have you ever wondered why downhill ski poles are bent? We’ve got the answer for you! Get ready for a skiing extravaganza at the Winter Olympics! Team USA stars Mikaela Shiffrin, Ted Ligety, Andrew Weibrecht, Steven Nyman, and others will be unleashing their impressive skills on the slopes throughout this week, and fans can expect a huge medal haul. To get you ready for the skiing events, we have some Skiing 101 for you, right here! It’s always good to be prepared, right? From what a ski pole is called to why ski poles are curved, we’ve got it covered, so keep reading! What Is a Ski Pole Called? Ski poles, as they are known in America (or “sticks” by those across the pond in England) are useful for the skiers balance and momentum. Earlier, ski poles were made out of mostly pine and bamboo. But with advanced technology, they are now made out of aluminum and carbon fiber. Poles are used in alpine skiing, freestyle skiing, and cross-country skiing. All of these sports are featured in the Winter Olympics 2018. People have been using ski poles for thousands of years. The earliest ski pole was found in Sweden in 3623 BC! Historic Alpine hunters used ski poles to hunt, as well. Skiers began using two poles in 1741 for better balance and faster movement in the snow. American inventors John B. Dickson and Edward L. Scott designed ski poles with steel and aluminum as the primary materials. Scott’s aluminum poles made it easier for skiers to make short, fast turns. Why Are Ski Poles Curved? You may have noticed that the ski poles used in downhill skiing are mostly curved. That’s because the skier finds it easier for the pole to curve around their body in the tuck position. A curved ski pole increases a skier’s aerodynamics, minimizes drag, and helps them get better momentum on the snowy slopes. As skiers can reach speeds of over 90 miles per hour on some courses, longer skis and bent poles help with providing stability while maintaining speed. You’ll often see bent poles in super giant slalom, downhill skiing, and speed skiing. Team USA’s Lindsey Vonn is one star of downhill skiing, and she often uses curved ski poles. 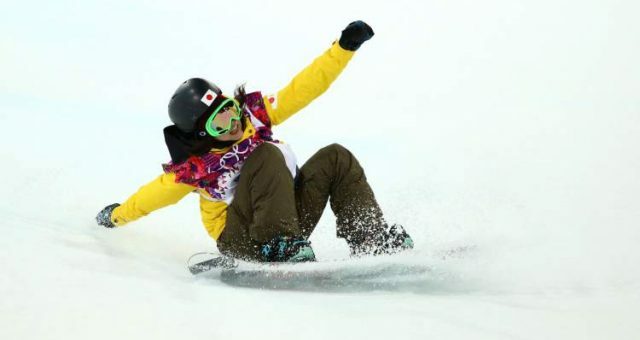 She is one of the contenders to win a medal along with Team USA’s Mikaela Shiffrin. 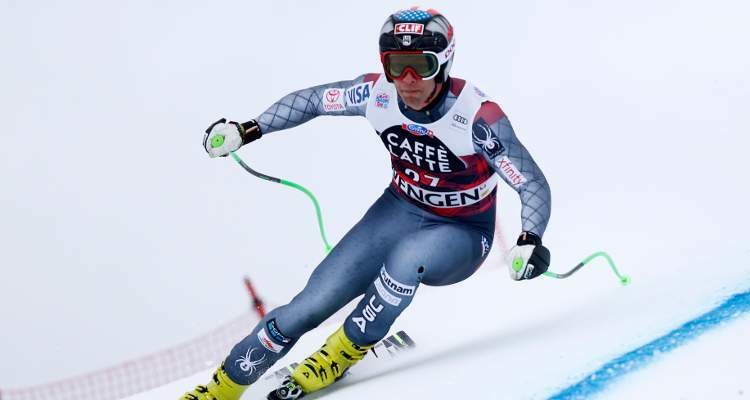 Steven Nyman, another U.S. downhill skiing star, also uses curved ski poles. 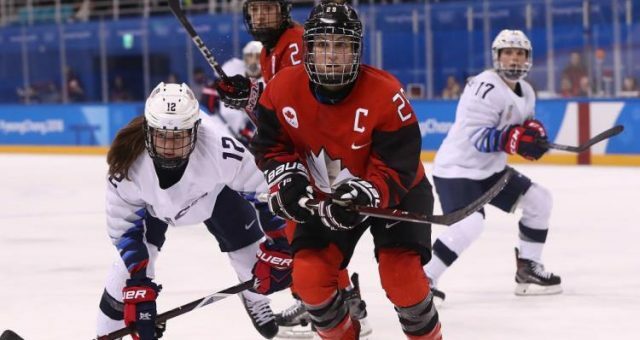 He is hoping to win his first Olympic medal at this year’s Pyeongchang Games.